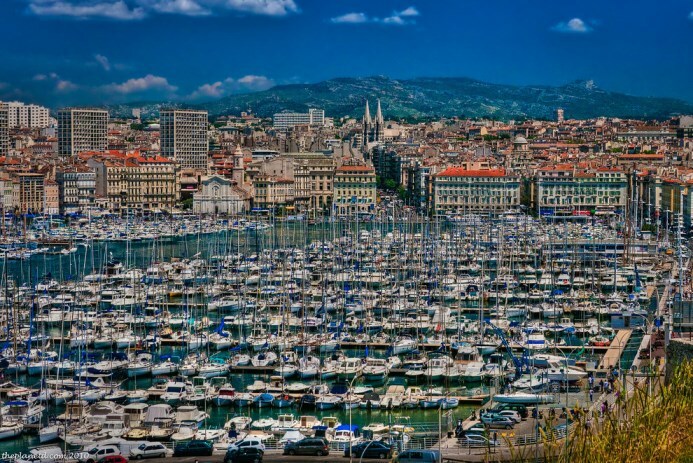 Marseilles is the 2nd-largest city in France, with an official population of just over 1 million inhabitants and the 3rd-largest urban area in the country with combined population of 1.7 million people including the outlying areas. It’s also France’s largest port and oldest city, with a history that stretches back to ancient Grecian times. For those who arrive on the night before the match, it’s a good idea to head down to the main Vieux Port area. There is a huge choice in eating out along and around the waterfront, with the Club House arguably being the king of the picks. Remember that eating time doesn’t start until 7pm in France – leaving plenty of time for aperitifs. It’s in this same area too that on the morning of the match (as with every other morning) there is the daily fish market (Le Marché aux Poissons) where fishermen’s wives traditionally call out for custom. In a relatively condensed area, you see the city as it always was since its foundation – a trading city with people shouting and screaming in a manner that leaves you to believe that there’s something decidedly more catastrophic going on than just trading fish. 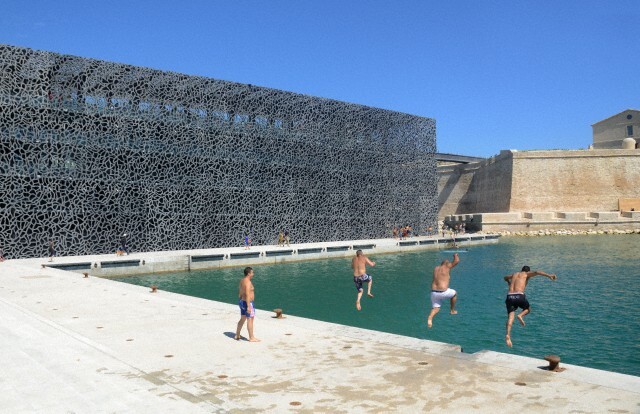 But that is the beauty of the people of Marseilles. For those of you familiar with the likes of Paris, you’ll find the loud and expressive people of Marseilles a lot friendlier. Marseilles isn’t the genteel city of 19th-century architecture that you might find in abundance in the capital or in parts of Lyon or Bordeaux. Its roots are far more ancient but no one particular era dominates in its overall feel. It’s down-to-earth, busy and hectic and full of expressive people. Gilles says that although the people from his native city are similarly friendly and open to the people of his adopted province of Munster, they are different people behind the wheel of a car. “They have no patience where they’re driving!” he says, shaking his head. The city was European City of Culture in 2013 and its already-strong creative arts scene has been augmented over the last year or two. One of the key exhibitions worth seeing for anyone with time to spare outside of match hours is a massive retrospective on the human face. Involving almost 100 artists and including names of prestige such as Andy Warhol, Pablo Picasso and Magritte, it runs until mid-June. 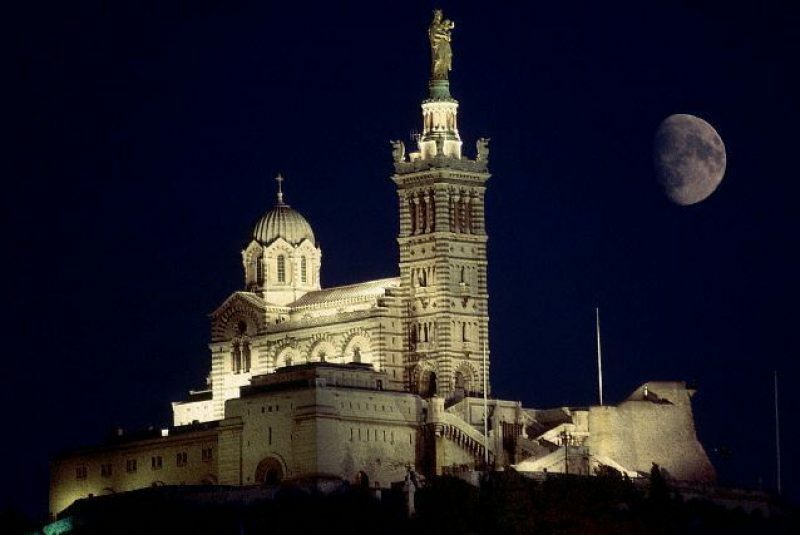 The Notre-Dame-de-la-Garde Basilica (see main photo) is another attraction not to miss. For the panoramic views of the city, the sea and the surrounding hillsides it offers alone, it’s worth a visit. It was the site of one of the last battles of Second World War, when the German army hung on grimly to the church, from which they had previously attempted to steal its golden Virgin Mary statue that sits atop like a Christmas Tree angel. The interior of this Second Empire place of worship is as riotous and ostentatious as the exterior, marked by enormous columns of red-and-cream marble topped with gilded frescoes in the ceiling way above your head, while offerings of model ships offered in prayer dangle mysteriously. To the south of the Vieux Port, the Corniche (an area that has seen massive regeneration in recent years) stretches around to reveal one of the main assets of Marseilles – its coastline. It’s not the only city in the world that’s on the sea but the set-up in Marseilles makes it feel as if it is. This is a town that sprawls along the coast and with a hilly coastline that makes the city look as it if it’s shouldering up against the Mediterranean. As for getting to the match venue of the Stade Vélodrome, you can take the metro (ligne 2) to Rond-Point du Prado, from where you emerge right outside the sporting cathedral. The wiser fan, however, will take the N˚83 bus from Vieux Port (right beside the Fort St Jean on the north side of the mouth of the harbour). This takes the scenic route by the sea, giving you an exceptionally nice ride to the match without weaving and stopping in the middle of the busy city. Finally, there are two things not to miss out on in Marseilles: The first is the bouillabaisse. It’s a local fish and soup dish that is available in multiple locations in the city and with the great supply of fresh fish in these parts, it’s always good. The other is pastis – THE drink of Marseilles. It’s the aniseed-flavoured high-in-alcohol tipple that we know in Ireland under the brand name Pernod. It’s available virtually everywhere in Marseilles and is a traditional aperitif that’s taken with water, which magically turns the wee-coloured drink to cloudy white. It can be drunk pre-lunch (any time from 11:30 onwards can be l’heure de l’apéro/aperitif time), pre-dinner or just sitting down with friends and enemies after a rugby match – to drown the sorrows or to celebrate victory. Santé! Flights: Aer Lingus operate direct flights from Dublin (twice a week increasing to three times a week in summer). www.aerlingus.com. Ryanair (www.ryanair.com) run a seasonal-only service starting in June, increasing from twice a week to three times a week in peak season. If you want to splash out and stay in the heart of it, try the Sofitel Marseille Vieux-Port (www.sofitel.com, 0033 491 15 59 00). At the other end of the scale in terms of price, is the Hôtel Hermès – just as centrally located and with arguably more charm (www.hotel-hermes-marseille.fr, 0033 496 11 63 63). Bouillabaisse is served just about everywhere. Marseilles is also one of the best places in the world for pizza. Along the Canabière (a very Midi version of the Champs-Elysées) is a particularly rewarding area, where plenty of locals come to eat. The afore-mentioned Club House (www.clubhousevieuxport.com) offers a buffet deal for €20 a head. The daily Prado Market (on Avenue du Prado) has an atmospherically North-African flavour about it, mixed with the scents and sounds of Provence (Also, CLICK HERE for a more comprehensive Marseilles market guide). For some more sophisticated shopping, try the Rue St Ferréol, Rue de Rome and the Rue Paradise for clothing (Marseilles has a very happening fashion scene of its own) and just stray in that general area for the best of everything else.